Sports Authority Field at Mile High, previously known as Invesco Field at Mile High, and commonly known as Mile High, is a stadium in Denver, Colorado. 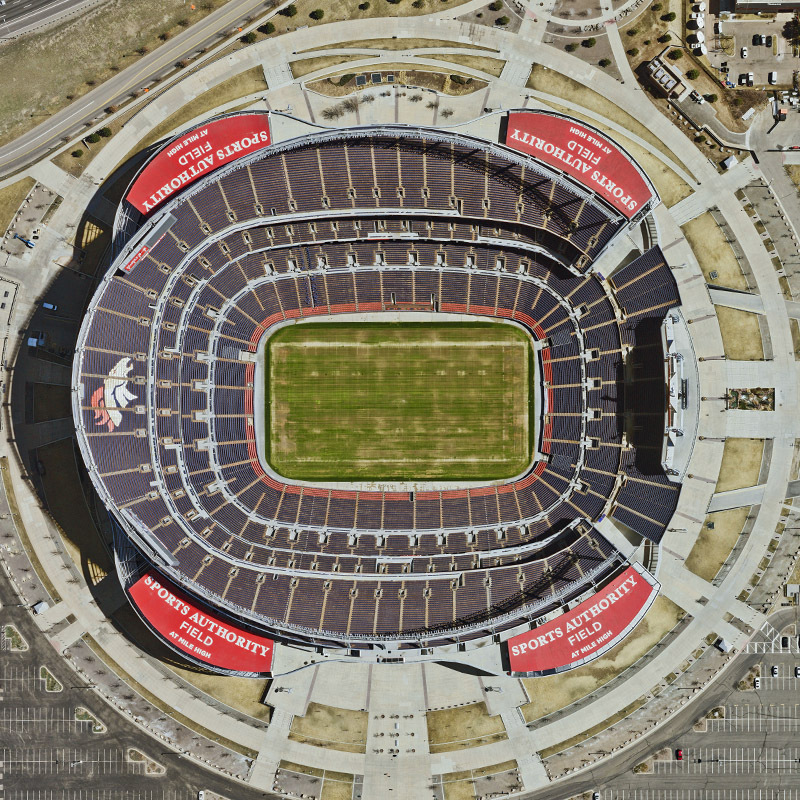 It replaced the identically sized, but commercially obsolete Mile High Stadium (named for the fact that Denver is exactly one mile above sea level) in 2001. It is best known as the home of the Denver Broncos of the National Football League. Invesco paid $120 million for the original naming rights, before Sports Authority secured the naming rights on August 16, 2011. The building of the stadium marked the completion of a six–year sporting venue upgrade program in Denver, including Coors Field and Pepsi Center. As with the other venues, the stadium was constructed to be easily accessible. It sits along Interstate 25 near the Colfax Avenue and 17th Avenue exits. It is also bordered by Federal Boulevard, a major Denver thoroughfare, on the west side. A dedicated light rail station also serves the stadium. The stadium is located in the Sun Valley neighborhood.